Hertfordshire has a food scene that is just waiting to be discovered. So here’s where you should be making a reservation. There is plenty to see and do in Hertfordshire. Whether you’re exploring the beautiful medieval and Tudor towns in the county or getting out into the countryside and making the most of nature, it’s got something for everyone. Add to that the fact that it’s a short journey from London, and you can see why it’s such a popular place for both residents and visitors alike. One thing that doesn’t get talking about enough though, is the county’s great culinary scene. Just so you don’t miss out then, here’s your guide on the best places to eat out in Hertfordshire. If you’re looking for a delicious meal that’s based around seasonal ingredients and traditional home cooking, then you should pay a visit to OutsideIn. 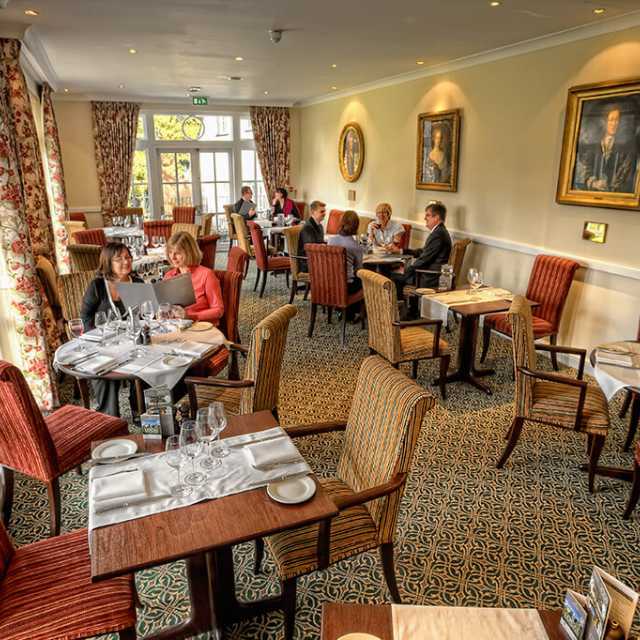 This restaurant is located in the four star Beales Hotel, so it’s ideal for those wanting to celebrate a special occasion with a weekend break. As the weather turns colder, you can look forward to delicious dishes like the famous Beales Fish Pie, and venison served with chestnut purée and root vegetables. The Mary Beale restaurant is located in West Lodge Park, which sits on splendid grounds with gardens and great views. The menu changes weekly, allowing the chefs to make the most of the wonderful local produce on offer from their trusted suppliers. You’re welcome to take a stroll in the grounds before or after your meal too. An eatery that has devoted diners returning time and time again, St James Restaurant really showcases all that’s great about Hertfordshire cuisine. Since it opened in 1997, it’s been serving up great English fare that’s got a hint of French and Italian finesse. With the festive season fast approaching, why not take a look at their Christmas and part menus to celebrate in style? If you want to sample some authentic Middle Eastern cuisine, then head to Tabure. This restaurant specialises in Turkish dishes with a modem twist, and it’s tapped into the nation’s love of meze and established itself as a firm favourite. It’s ideal for big groups, as there are vegetarian and vegan options available alongside the traditional meat and fish dishes. So there’s going to be empty plates all around! Last but not least is Lussman’s. This legendary eatery started off in London, but relocated to Hertfordshire in 2004. Since then they’ve opened five restaurants in the county, and the focus is on sustainable eating that is available to all. The set menus are great for diners on a budget, and the monthly specials are always a treat. With glowing reviews in The Times and some famous fans, it’s a restaurant with real pedigree. There you have it then – Hertfordshire’s best places to eat. A common theme across all of these restaurants is how much they want the local produce on offer to take centre stage, planning their menus around the seasonal availability of ingredients. With so many great farms in the county, that’s no surprise. So whether you live in the area or you’re planning to visit, you’re not going to be stuck for somewhere to enjoy a delicious meal.